Preston Poets Society: Preston Guild Poet! Thank you for everyone who entered and for all those people who came on the evening. 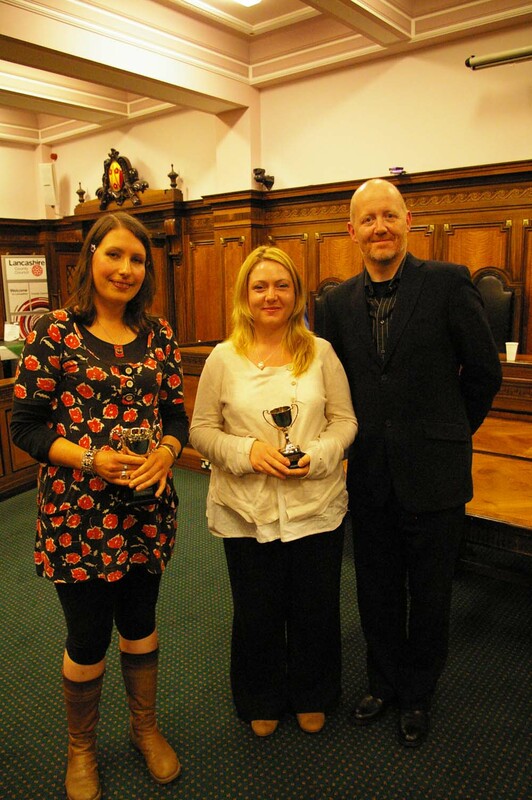 The winner and Preston Guild Poet was Lorna Smithers. Congratulations Lorna, a once in 20 year opportunity. Michael Symmons Roberts presented the prize to Lorna along with the Jackie Hayes Award which Melissa Lee-Houghton won. There were also 4 runner-ups who are: Mike Ellwood, Dorothy Nelson, Joan Yates, Tom Hicks. You can read the some of the runners up poems in the next blog... and following up from that the two winners poems.